The compact bridle system is smart. I am sure I will not get tangled lines. The material is better than the NEO. The wing tip material is different. Time will only tell about what is better. The drifting is as good as the NEO. This post is about my 1st impression of the kite. I will continue flying a kite and report soon. Sorry, but just to check that the kite wasn't oversheeted? 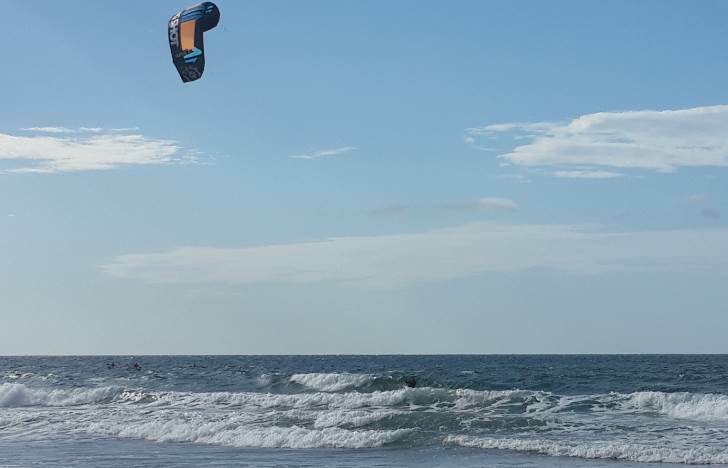 Second-day kite surfing on small waves. the wind was light may be 10 to 15 max. riding on a Vanguard Tomo surfboard. Looping and the dumping of power are better. Also the upwind. 1- easy on the bar pressure. Are you local,bonny Chelsea area ? woudnt mind a good look at ur kites. Sometimes at Chelse but only when the direction of the wind is west. Today I took the kite out in winds from 10 knots gusting to 30 knots. I am impressed with the kite. The kite turns a lot better when the winds is above 15 knots. When it was 20 + looping the kite would pull me downwind too much. The kite is solid. I am happy with the kite. I think the NEO is better but they are two different kites. I was able to park the kite while surfing the 1-foot bay wave today. Would I buy another SST kite? Yes . I will list what I like about this kite. Stable when I was over power. the 12 meter is slow kite to turn.